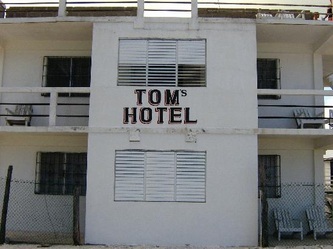 Tom's Hotel "Our Belize Vacation" - "Our Belize Vacation"
One of the most well-known, established budget hotels on the island. 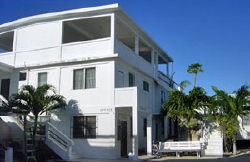 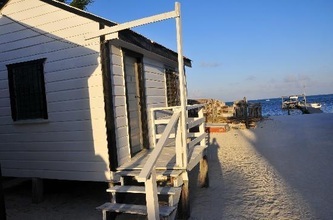 There are five private cabanas and additional rooms in a large two-story building. 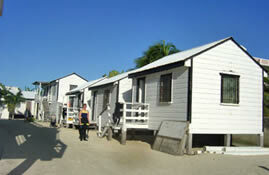 The rooms with one to three beds have private and shared bathrooms all with hot water. The hotel is dependably clean and adequately furnished. 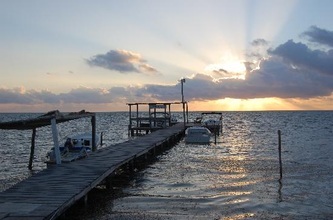 Guests can enjoy a private pier, roof top deck and large verandas facing the sea. 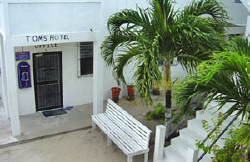 While the hotel is one of the largest ones on the island, it still has the personal touch of being a family-run hotel. The quiet, relaxing atmosphere is why many guests call it a home away from home. Tom's is located on the water near the center of town, just south of the Tropical Paradise and Sea Beezzz, in a secure compound-type arrangement of buildings and decorative cement barriers. 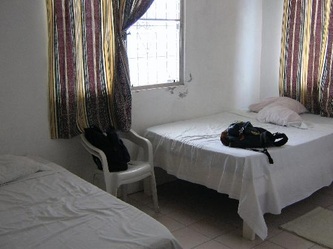 The old main hotel is a two-story wooden structure with about 20 spartan (bed, drawers, electricity, and fan) yet clean single and double rooms; bathrooms with cold water showers are shared. 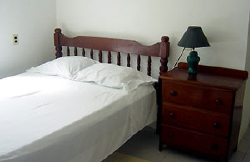 Some of the upstairs rooms are quite small and some of the downstairs rooms are a little dark, but you won't spend much time in your room, so why worry?